The Annual Security Report mandated by the Clery Act, was released on Oct. 1 by the Public Safety Department for student and faculty access online under the “Crime/Fire Log” section. In this report is a collection of the crime statistics from the 2017-2018 academic year, a list of programs hosted in order to promote student safety and ways students can stay safe. A major component of the report is crime statistics. In the past year, UCCS has seen upward trends in crimes such as theft, motor vehicle theft and drug and liquor law violations. Clay Garner, the Deputy Chief of the UCCS Police Department has an explanation for the crime rates. Garner also attributes the growth of Colorado Springs as a cause of growing crime rates on campus. According to Garner, with higher growth rates, there will also be an increase in crimes of opportunity. An example of this, according to Garner, is if someone sees a laptop sitting out in the open in a car, that person has been presented the opportunity to smash the window and grab the laptop. “You’re going to see an increase in crimes because of the population growth in the Springs area,” Garner said. 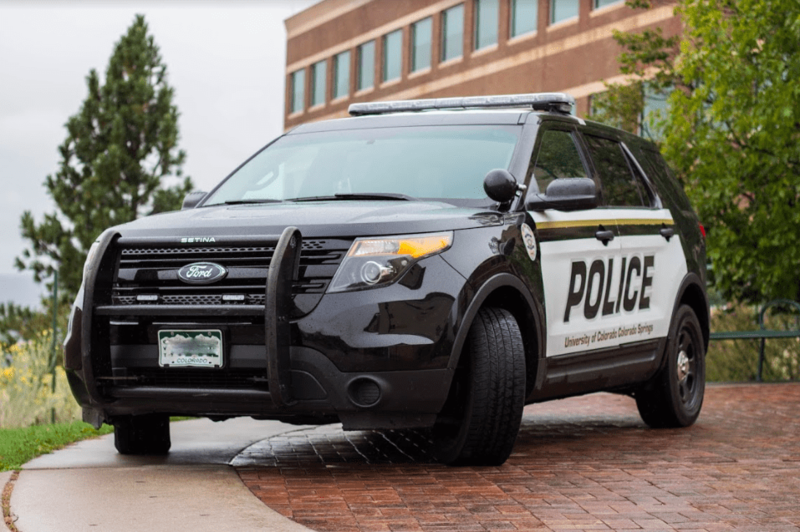 According to Melanie Strescino, the Business Services Professional and Clery Coordinator for the UCCS Police Department, the Clery Act crime definitions located in the appendices of the report are vague at times. This vagueness causes more incidents to be reported as crimes. Strescino’s example for a vague definition is stalking, which has seen an increase from last year, going from 14 incidents in 2016 to 16 last year. Strescino said that the definition of stalking is generally more vague than the typical definition, and this is why the stalking rates in particular have seen an increase. According to Garner, an increase in crime rate can be attributed to an increase in reporting rates. There have been several events on campus in the past year, all listed in the report, that encourage students to report crimes and have aimed to make students comfortable reporting crimes. “Population has an impact, but also the prevalence of programs out there that encourage not just reporting direct, but anonymous reporting.” said Garner. According to Garner anonymous reporting is appealing to students because of technological fluency. Campus events have also focused on equipping students with the tools to maintain their safety on campus. One of the most popular, according to Strescino, is “Never a Victim.” According to the security report, this event was offered four times in 2017, and had around 20 tp 30 participants each time. “Our Never a Victim class is taught by our sergeant Lisa Dipzinski and that one fills up right away,” said Strescino. Garner said that “Never a Victim” is about situational awareness. Students are also taught self-defense techniques during the event that give practical knowledge and self-confidence in the ability to stay safe. This report is available on the UCCS Public Safety website, along with reports from the previous year, and other resources that promote campus safety.